Drive Safe.ly is an app created by State Farm auto insurance. It provides drivers with a safer way to stay in contact with their friends, family and even coworkers. The app was created because not everyone can resist the temptation of texting and driving. The app allows drivers to program the audio part of their phone to read text and emails out loud as texts or emails are received. 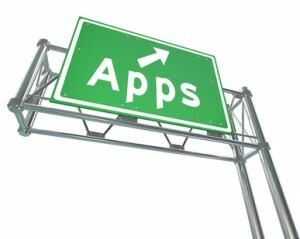 The benefit of this app is that drivers are able to keep their eyes on the road and their hands on the steering wheel. Everyone benefits when drivers are smarter about their actions. Nokia Here Drive not only helps you find where you need to go, but also it helps to alert you when you are speeding. The device was designed to save people money by making maps that are downloadable, so users do not eat up data usage with GPS that may or not be working. Drivers can concentrate on driving rather than finding their way. Spotify is a broad connection music app that not only works on your cell phone, but on your computer and other mobile devices. You can search songs and artists or Spotify can make suggestions for you. Drivers can focus on driving and stop searching for music on the radio, changing CDs or fussing with their MP3 player. They offer a free and premium membership. AAA Roadside app works with the roadside assistance features that come with carrying the AAA card. Dead battery, lockout or even a tow are all services that can be accessed through the app. The Canary app is designed to alert parents when their teens are engaged in dangerous behaviors while driving. It alerts parents when calls are answered or teens are texting, using Facebook or tweeting while driving. The Canary app allows parents to set a maximum speed limit and then notifies the parent when the max speed is exceeded. This is an app that allows teens to learn responsibility while also allowing parents access to information can save teen drivers’ lives. 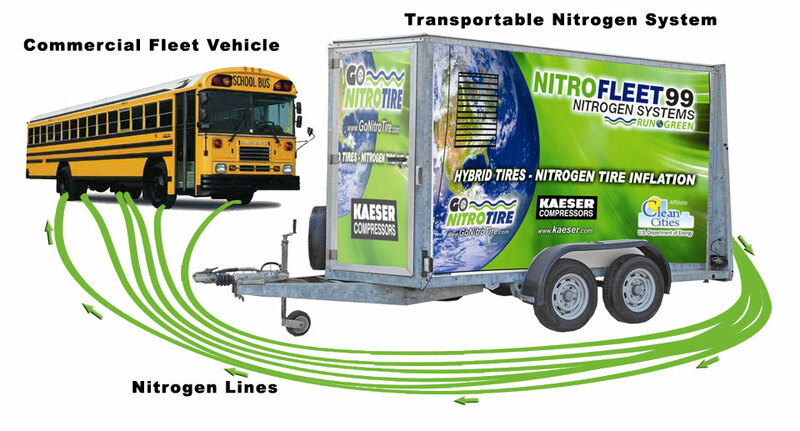 Nitrogen tire inflation will benefit one vehicle as well as a hundred or a thousand, but if you have a small fleet, then it might take a long time for your managed fleet to recoup the cost of the equipment. One nitrogen tire system can run several thousand dollars, so it’s important to consider the initial cost and how long it will take your fleet to recover that cost. The cost and carbon savings are much more substantial for larger fleets, and the initiative to go green may also be an additional incentive. A good place to start to calculate these numbers, if you are considering a nitrogen tire inflation program, is to use our carbon reduction calculator to get an idea of what you would save. This is an obvious step, but the hardest part is figuring out how many machines or inflation carts you need. Although this will differ from provider to provider, our nitrogen tire system can fill up to six tires simultaneously. It takes about seven minutes to purge those tires of air and to refill them with nitrogen.The number of machines that you purchase will depend on how many vehicles you have in your fleet, as well as how many locations your fleet has to do regular maintenance. For example, you could have a fleet of 1000 , but if there are five maintenance locations for your fleet, then you might only need 10 or 15 machines to ensure that each maintenance location is adequately serviced. Once you have your machines, the next step is to transition all of your vehicles. You want to purge them of the regular air and refill the tires with nitrogen. This is the only way to get your program started right, and to be able to track certain metrics. Your results will be skewed if you start by only topping off your tires with nitrogen, as the benefits won’t be as noticeable. 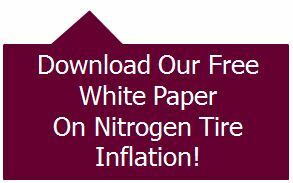 One of the most crucial elements in implementing a nitrogen tire inflation program, and in doing it successfully, is educating your drivers and maintenance workers about nitrogen tire inflation. This is more than telling them why the company is doing this and what nitrogen is supposed to do to the vehicle. It’s also about educating them on the importance of proper tire care i.e. checking tire pressure regularly, how to check tire pressure, when to do it, and what’s considered proper tire pressure. This ensures that while the vehicle is on the road, the tires aren’t over- or under-inflated on accident, which puts the driver at risk for a flat or a blowout. Nitrogen won’t make much of a difference in driver safety if the tire is over-inflated in the first place. Once you implement the program and get everyone involved, you ought to track certain metrics to measure your savings and to show that the initial expenses were justified. Some of the metrics that you want to track include fuel costs, number of blowouts per month, average tire pressure upon maintenance, number of tire retreads per month, and length of a tire retread. Of course, you will need to track these metrics over several months to be able to see the benefits and the difference nitrogen made to your fleet. It would help if you had some or all of these numbers prior to starting the program, so that you can compare the results, but that’s not always necessary.